You have got to watch this video of a man rescued from the Haiti quake who used an app on his iPhone to treat a head wound and a compound fracture in his leg. He obviously survived being buried in the rubble, was rescued, and returned to be with his family. CLICK HERE to check it out. You may have read about New Missions, one of the organizations we are connected with serving in Haiti. Well, you will find below a video link for a video message from their President regarding the earthquake and recovery efforts in Haiti. Below that is another video link of a short video, with a call to pray and give and be ready to go from Florida Baptists. Hope they both will help you as you pray and consider how you can serve Haiti. Click here to watch the New Missions video. Click here to watch the Florida Baptist video as well as a few others. And remember, you can find some specific ways to pray and give and go on our church family’s website by clicking here. You may not want to read this unless you want to be made aware. Because being made aware means you have to make a choice. You have to decide if you will sit idly by or if you will do something. Anything at all. USA Today interviewed Mark Driscoll, a pastor from Seattle, who witnessed post-earthquake Haiti firsthand this week. Again, you may not want to read this. But if you do, click on the link to the PDF below. Then, come back for some updates from our connections in Haiti. BOTTOM LINE: it is a terrible reality of our world. And it potentially will become a greater and greater threat to Haitian girls in the aftermath of the earthquake in the coming months. Another reality in a country like Haiti is that communities of faith have drastic influence on the health and safety of the people. So, let’s pray together for God to grant us wisdom as to what our long-term strategy needs to be to serve Haiti. Haiti is news-worthy as a ratings-booster right now, but last night’s election showed that other stories will trump the devastation there (maybe rightfully so, not sure), but the effort to rebuild Haiti will be a necessity for years to come. The Florida Baptist Convention’s four-member assessment team was awakened this morning by the 6.1 magnitude earthquake tremor that struck 35 miles northwest of Port-au-Prince, Haiti. Although the four team members and a medical team from the Arkansas Baptist Convention scrambled to get outside, there was no further damage to the Convention’s mission building and no one was injured. The Arkansas medical team – comprised of doctors, nurses and emergency medical technicians – accompanied the Florida assessment team to various locations yesterday and today to provide medical assistance working out of Baptist churches. On Wednesday, a Florida Baptist and International Mission Board team began distributing food near the El Shadai orphanage in Bon Repos, located north of the Port-au-Prince airport. The private orphanage is managed by Marie Prinvil, a former Florida Baptist Convention employee. Dennis Wilbanks, an associate in the Convention’s Partnership Missions Department, who arrived in Haiti on Sunday evening, was able to purchase limited supplies of food from distributors in Haiti. Wilbanks, who has led several disaster relief efforts in Haiti, called upon his network of contacts in Haiti to secure the foodstuffs. As the U.S. government readies to airlift thousands of orphans and refugees from Haiti to Miami, Florida Baptist staff members are working to assist in receiving, processing and re-settling these refugees. On Wednesday, the Florida Baptist Children’s Homes began making preparations to receive, house and care for 100 Haiti orphans. The Convention’s Lake Yale Baptist Conference Center campus near Leesburg is expected to provide the housing facilities. The Alabama Baptist Convention has agreed to partner with the Florida Baptist Convention to meet the needs of the children and families when they arrive in Miami. This weekend, the Convention’s assessment team members are expected to leave Haiti to meet in Hialeah to meet with representatives from the Florida Baptist Convention, International Mission Board and North America Mission Board. The four will provide first-hand assessment reports and help the mission leaders to develop a comprehensive response plan of how Southern Baptists can address the many needs in Haiti as soon as possible and as long as needed. While the team is away from Haiti, the Convention’s indigenous Haitian missionaries and pastors will continue to coordinate the distribution of food. More details on the response activities will be available on the Convention’s website www.flbaptist.org and on the Florida Baptist Witness website www.gofbw.com. Also to be available this week on www.flbaptist.org are two brief (2 minutes or less) downloadable videos to encourage Florida Baptists to pray and to give to the Haiti relief effort. JAN 20TH_We had another big shake this morning…we are OK and the house is standing. We lost internet until just now. We have had a full morning getting a medical team of 10 set up to work. They are now treating some wounded. They will be with us for several days. JAN 19TH_I want to thank each of you for your prayers, gifts and notes of encouragement. They mean a great deal to us. Today Roger went to visit Pastor Jeanty. He and his wife are OK. Their house is partially fallen down and the church is completely destroyed. There were people at the church starting to clear away the rubble because they want to start having open air services in the church lot by Sunday. They had door to door (or tent to tent) ministry last Sunday and had 280 new converts. So, they are anxious to have a place to meet, even if it is out in the open. We praise God for this couple and the evangelistic calling God has on their lives. Also, today, we did the ‘routine’ of charging telephones, filtering water for the neighbors and just talking with folks that come by to see how we are. Everyone is still very shaken, in need of a place to share their story and find a sympathetic shoulder. And so we try to be the ears of Jesus as well as the hands and feet. Tomorrow we a medical team of 10 arriving. We will house them and deliver them to several locations to work. They will be here about a week. Pray for strength as we serve the needs of those who are serving. We will close this update tonight with another thank you to each of you. Know that we feel your prayers and love as do the people of Haiti. JAN 18TH_Several have been asking just how to designate their gifts that they are sending to us through Elim Fellowship. At the moment there are 2 accounts set up for Haiti. 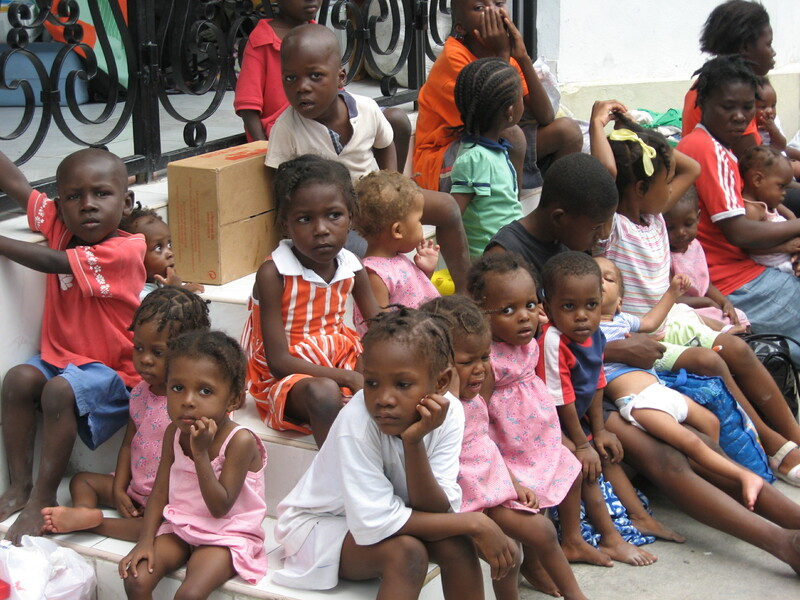 1. called “Haiti Relief” is a general account that will be disbursed by the directors at Elim. Some of this may come to us and some may go to other aid organizations that Elim partners with. Giving to this account is fine, but we will not hear about your specific gift and will be unable to personally thank you. 2. OUR ACCOUNT – is called, “Roger Clark – Haiti Relief”. Funds designated this way will be placed in our project account for us to disburse as we see the needs here in Haiti. We will be given a listing of all gifts to this account. So, just keep this in mind when you are sending your gifts and designate them accordingly. Why did God let that happen to the people of Haiti? I mean, they were already a poor people who didn’t have much? Why did He do that? Of course, I pulled out my iPhone on which I had prepared a media presentation, accented with 3-D effects, highlighting the system I had created to contain the knowledge of an understandable God who opened up the earth with a vengeful wrath terrorizing an ignored people who sold their souls and country to the guy with a pitch fork. Of course, that last sentence is NOT TRUE. What I did say, though, was very profound. Profoundly transparent. I don’t know, bud. I don’t think He caused that. He certainly allowed it. Why? I have no idea. And then I was quiet. Yeah. Yeah. I mean, if that had not happened, some of those people would not have known that God is with them. But now they will. Now they will know God is with them in how we help them. “That’s right buddy. They will know Him and see Him by our love,” I affirmed him. An administrator and a theologian. Wow. That’s my boy. Four quick updates for you from Haiti, as well as a call to action for our church family, Westpoint Church. 1st, the team from Central Florida with New Missions that was serving at the time of the earthquake is in the first phase of returning home. Many of their family members here are anxious to see their loved ones again. To say it has been an adventure of survival would be an understatement. My prayer for them is threefold: (1) to return home safely, (2) to never forget what life was like when all they had was each other (they return to a region of our world that is one of the most affluent), and (3) to return to Haiti one day soon to help with the relief effort. Here’s a report from someone in Central Florida who was instrumental in helping to organize their rescue. Our team successfully landed in the Dominican Republic yesterday and sent in a team of four special operators into the New Missions compound last night via helicopter. Today, with a joint effort with the US military, all 44 individuals are in route back to the Dominican Republic via helicopter. All 44 are safe and did not sustain injury. We have a large plane in route to the Dominican Republic to bring them all back to the US. Due to the heavy air traffic in the area, we do not know exactly when our plane will be able to land to bring them back. But we believe they will be home soon. It’s just a matter of time. Thank you for all your prayers and support. Thank you God for your provisions and for the safety of our team. It has been a rough 24 hours. I haven’t slept since 4:30am Tuesday. Email has been our life lines to all of you. The support is so incredibly uplifting. God continues to work incredible miracles. I can’t wait to fill you all in. We are still getting some heavy tremors. We react a bit quicker than the first time. Things are moving very fast here. All morning we have been assessing damage to the compound. Though no buildings collapsed, almost all the buildings will have to come down. We are helping the small village, Board Mear, next to New Missions. There were deaths there. We are emptying the warehouses of food, which normally goes to the 8000 children New Missions feeds at their 23 schools each day, and giving it out to the villagers. Also, each school received two weeks supply – all the bags of food are gone now. We traveled out to the main road. Didn’t get too far in the direction of Port-au-Prince before we were turned back- so we went the other way. House after house crumbled to the ground. A lot of the homes are made of cinder block and concrete flat roofs. They just came straight down. We came across a home that had several people still trapped inside. We could actually see someone who didn’t make it out alive. Several men were using a small hacksaw to try and cut thru one single rebarb on the top of this mountain of concrete. I can’t imagine what you are seeing in Port-au-Prince on TV. The thatch huts in the villages fared better. Made of sticks and mud, I guess materials that give more. There have been emails coming in from people in Orlando, Tallahassee, and Washington to get us home! They have our GPS coordinates. A US Coast Guard plane circled overhead a few times then came in low over the water and waved it’s wings. We started waving and yelling things like “That’s the U-S of A Coast Guard Baby – oh yeah! !” Again – like something out of a movie. That one gave me chills and brought me to tears. We are all ready to depart. Problem is we can’t go to Port-au-Prince by open truck with teenagers. It’s too dangerous. There are reports of major looting and chaos. So however we get out has to be by boat or helicopter. They keep saying either to Guantonimo Bay in Cuba then home or the Dominican Republic. Also CNN wants to land chinook helicopters at the mission. On the tough side, New Missions has 4 confirmed deaths so far from their people here – 3 children and a woman who started in New Missions in the 1st grade and was being put thru nursing school. She was at a hospital in Port-au-Prince. There was a lot of damage to the water lines from the well at the Mission so we don’t have showers or bathrooms. A lot of flooding. But plenty of food. The well is a 25 year old aritsian well (self pressurized), but when we we came back this morning there was no pressure at the well head, as if the pipes were severed deep in the ground. That well supplies water to the Mission compound and two surrounding villages. Anyway about two hours later, water came bursting out of the main pipe with awesome pressure. It came back. God’s hand is amazing. It’s dark now and need to find a place to sleep – maybe the back of the truck. I’m so fortunate and blessed to be safe and better off than 99 percent of the people here – absolutely no complaints. I am humbled by this experience. And convinced God is walking with us. The sky is so clear here and I’ve never seen so many stars – and so bright! However the dark clouds are moving in with a breeze – so tonight may bring rain. More reason to pray for the perhaps millions of children and families sleeping in the fields and villages across Haiti. I can literally hear them singing in the village across the way. May God’s hand be upon them. We spent the night sleeping in the street in front of our house along with all of our neighbors once again. We were awakened in the night by some gunshots in the distance and again at 5AM by several strong aftershocks. This thing just won’t quit. We would ask that you pray for wisdom as we and those around us begin to recover from all that has happened. Yesterday we drove around our area. What we saw was heartbreaking. There were houses down everywhere. Many are still trying to dig folks out from under the rubble. It is difficult as they have only hammers and their hands. Many have asked questions of us, and we cannot take time to answer all individually. We will try to keep everyone updated as we can. Roger and I are doing fine. As everyone else, we were not prepared for this. Therefore, we are doing with what we have and helping out as we can. So far we have fuel for the generator and a little in our car. We are charging phones, providing some electricity for our neighbors, handing out drinking water, and giving out some rice and beans that we had in our depot for the school. You can see some pictures on Roger’s facebook and later refer to our blog site (www.newlifehaiti.blogspot.com) for updates, too. Staff of the Florida Baptist Convention is diligently working on a response effort to assist the people of Haiti who were affected by the 7.3 earthquake that shook the impoverished island nation on Tuesday, January 12, 2010. We are calling upon all Florida Baptists to remember in prayer the people of Haiti who were suffering even before this latest disaster struck. Also please be in prayer for the 890 Baptist churches affiliated with the Florida Baptist State Convention and their nearly 60,000 members who have directly been affected by this natural disaster. Secondly, the Florida Baptist Convention’s response efforts will require financial resources to secure foodstuffs and humanitarian assistance. Florida Baptists and their churches can contribute directly to the Florida Baptist Convention. Every dollar donated will be used solely for this purpose. At this time we can only accept financial resources. Those gifts-earmarked for disaster relief–can be sent to the Florida Baptist Convention at 1230 Hendricks Avenue, Jacksonville, Florida, 32207. Additionally, individuals can make contributions through the Convention’s website: www.flbaptist.org. The Florida Baptist Convention has an assessment team that is ready to go into Haiti just as soon as transportation can be arranged. The team will determine where foodstuffs and other commodities can be shipped, stored and distributed. Then the team will assess damage to Convention-owned property and the churches that comprise the Confraternite Missionaire Baptiste d’ Haiti (CMBH). The Florida Baptist Convention, which has had a 15-year missions partnership with Haitian Baptists, employs six native Haitian missionaries who are expected to provide information on the needs to which the Florida Baptist Convention can respond. No other Southern Baptist entity has missionary personnel in the country or the experience in responding to disaster relief in Haiti as had the Florida Baptist Convention. Updates on the Convention’s response efforts in Haiti will be posted on the website: www.flbaptist.org. Join us Sunday morning for worship gathering at 10am at Whispering Oak Elementary School in order to worship together and cry out to God together for the New Missions team, Rachel and her family, Florida Baptist missionaries and churches, and the people of Haiti. AND, if you are willing to give, pray for guidance as to whom and to where. I would encourage you to consider Florida Baptists, New Missions, or New Life Haiti. Money given to all three is sure to go to relief efforts through the likes of food and medical supplies. In the coming months, you will be hearing about opportunities to help with relief efforts by focusing with New Missions in partnership with Northland West Oaks, a partner church with the Church of West Orange. If you have an interest in being on a team that travels down to assist in the relief efforts over the course of the next two years, please sign up Sunday morning or comment here to let us know. Thankful to be the church together. Love y’all. The catastrophe that occurred yesterday afternoon around 5:00 in and around Port-au-Prince, Haiti is beyond words. My wife and I prayed last night for the people there. We also prayed for a group of about 40 people, many of whom we know, who are currently on a mission trip there. They are on mission with the New Missions organization and from multiple local churches around Central Florida. They are staying in the New Missions Compound just 10 miles west of the epicenter of the earthquake. New Missions director Tim DeTellis is with them. You can read an update from New Missions by clicking here. Here are two eyewitness accounts just received through a friend via email from two men with the group (one of them Tim) recalling the events as the earthquake happened and what followed. There is also a link to a video from local reporter Christine Webb with CFNews 13 who is with the group. I hope this will you not only help you “get there” but also help you as you pray for them. Notice the report of praise. Unreal. How great is our God. He is to be feared and worthy to be praised. Only can say – wow! God protected us. He really did!! I thought “this is it” for a bit. We were doing an interview not far from the ocean near where we eat just before 5:00. There was this huge Boom – like a bomb going off. Then the earth just erupted – threw me about 20 feet. I tried to stand. Got to my knees and the light stand came flying through the air and hit me right below the eye on my cheek bone. I look right and like a movie the ground opens up with this huge fault line looking thing. It lasted about 14 seconds when I looked back at video. It was like I was a rag doll. So, so violent. Then immediately the after shocks started, like a rolling sea. Then it got crazy. People were in their rooms yelling. A lot of gas tanks fallen. Had to turn them off fast. Finally we all gathered by the beach. Then with tsunami worries, we gathered anything we could and went to the main compound, got in the trucks, and headed inland. We spent the night about 5 miles inland away from the water. We surrounded the vehicles and stayed on the grounds of one of the high schools. The buildings were too damaged to sleep inside, so we slept on ground and in the trucks. We’ve gotten dozens of after shocks. Seems like every 15 minutes. From mild all the way to shaking the car hard. Haven’t had one for about hour now. We are going to scout out the road to Port-au-Prince at dawn, but from what I’ve seen it looks really bad. 1000’s of people sleeping in the streets and on the sides of the road. They won’t go to their homes, because they are too damaged or are afraid tremors will cause more damage. All we hear is singing. Praise songs all over the place. These large groups huddling together singing. You can hear it all around from the darkness. Its unbelievable. These people are in the dark, singing to the Lord. So awesome! We prayed a lot. God is in control. He’s got our back! Most everyone is ok. A lot of the young girls were really emotionally shaken up. Back at compound, buildings were damaged. Most will have to be torn down. The sky is starting to show some color now. It’s looks so peaceful. What the sun will reveal I’m sure will be quite a different story. The ground was like an ocean wave at New Missions when the earthquake hit. Most of our team was at the Missions Training Center. It was just before 5pm. At the time, I was with Bob doing a video interview of a student, when all of a sudden we heard a big boom, and the ground began to rock. The concrete pathway I was standing on at the end of the Missions Training Center, closest to the ocean, cracked in half, and the earth began to open. We all fell down. Started hearing things crashing and people screaming. At first we stood in a circle together between the ocean and the missions training center and confirmed noone was hurt. We moved to the other side of the mission and began to load the vehicals to evacuate. Along the road to the High School, we saw continued structural damage. However, Christians were singing in the villages. At the High School, we circled the vehicals and some slept on the trucks and some slept on the ground on a tarp. We are thankful to be safe. There is extensive damage to buildings at the mission. Please pray! Click here to watch the video report from Christine Webb on the ground at the New Missions Compound. Let’s be praying for the group’s safe return home, for the people of Haiti, for Haitians who reside in Florida who have loved ones in Haiti, and for wisdom on how the churches of Florida can and must respond. I am guilty of it, too. Fooling myself into thinking that when I am busy I am really getting a lot done. But that’s not always the case. We can fool ourselves into thinking being busy will equal effectiveness. Not so. We may be busy, but are we being productive? I would suggest that we can be busy and not productive, but if we value being productive, we will be effective with what we do rather than just chaotically busy in all we do. Jesus spoke of effective lives as fruitful lives. Productive. Stuff blossoms out of our lives and into the lives around us. That was coming from the Savior of the world, who told His followers in John 14 that they would do greater things than He. Still grapple with that declaration, but I can only assume that His assertion was based on the fact that there would be more and more fruitful lives to come that lived on Kingdom purpose. More than just His one life. His one life was needed to heal and restore and then catalyze the lives of the many. But the movement of the many together, aka the CHURCH, would foster the greatness of which He spoke. All this to say, here are some basic questions that have helped me and I hope will help you be productive rather than just busy. 1 – do you focus your daily based on tasks or priorities? And I am not talking about just prioritizing your task list. You need to assess your task list. You may need to eliminate some tasks or add some even. But you need to filter your task list based on a determined set of priorities that you view as paramount to your purpose in the everyday. Think about it. How meaningful will everything you do become if you filter your activity through the filter of following Jesus, loving God and loving people, learning and living Jesus’ ways with others, and working to serve others and give into others and help them succeed rather than advance me and get for me and base your identity on career success. Beyond self life is an abundant life, and living out of a set of Jesus-given priorities is paramount. A good question to ask at least once a year, if not several times a year, is “Am I living in my musts?’ Your “musts” are the things you MUST do. You don’t just determine your musts based on what you like, but rather based on what you are productive in. Notice, I didn’t say “what you are good at.” You may be really good at some things that only bring personal happiness but no beyond-self productivity. And productiveness is not about me, but about what is produced that goes beyond me into the lives of others. Imagine if we each lived according to priorities, and our priorities were focused on giving ourselves away into our family, our neighbor, our co-workers, and so on. If we were each concerned about holding each other up, pouring into each others lives, the efforts of our lives seen as crucial to the success of others lives (a true team with true unity), can you imagine what the outcome could be? So, what are your musts? Determine your priorities. Pray and ask for wisdom to determine them. Maybe reading the Bible isn’t as much about personal development as it is for knowing God and what He values and discerning His priorities and then surrendering to allow them to shape the fruitfulness of your everyday tasks. 2 – do you flesh out your priorities based on steps or cultivation? The answer to this question will determine whether your priorities are focused on personal advancement or on cultivating into the lives of others. Jesus cultivated. It took time. Patience. Intentionality. And everything He did was “productive” as a result of it. Steady plodding. It’s not the easy choice. Five steps to accomplishing personal goals is much easier than setting out to cultivate God’s values and priorities into your life and the lives of those you encounter everyday. But think about it. Do you want what’s in your head to become reality. Or what’s in God’s? Jesus prayed, “Your will be done, on earth as it is in heaven.” What He prayed, “on earth as it is in heaven,” will only come when we flesh out God’s priorities into our lives by cultivating His life and love and purposes into the lives of others while we carry out our everyday tasks. 3 – do you strategize for cultivation based on goals or outcomes? Another way to ask this: are you looking for desired results in the forms of trophies to put up in your house or in the forms of lives that begin to be shaped by God-given priorities? I hear people say things like, “Our goal is to see 100 churches planted in 10 years.” Or, “We want a 20% increase this year in the business.” But do we really have that much control over what happens as a result of what we cultivate through our tasks in the everyday? We don’t. Also, do we really want to limit our outcomes to what comes out of our heads and hearts? We shouldn’t. For example, did Paul set out in the New Testament book of Acts to plant churches all over Asia Minor, or did he simply set out to cultivate the Gospel of Jesus? He did the latter. 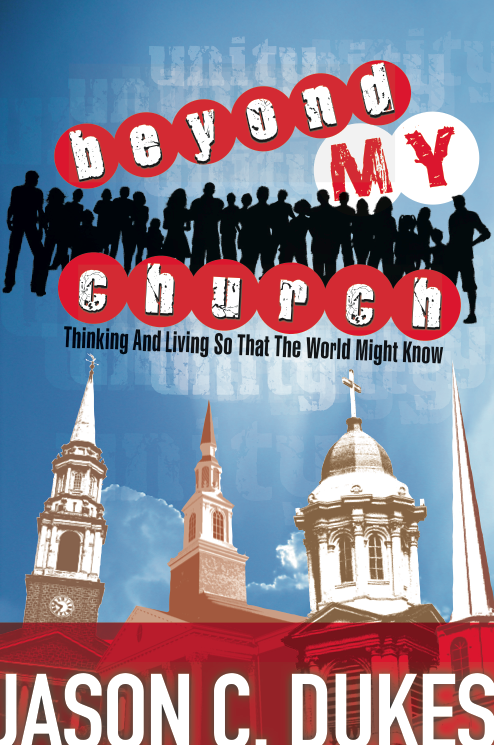 The unimaginable outcome was that the church blossomed all over the world in varying forms. His strategy was based on his must of preaching the Gospel, rather than a goal of planting 10 churches. His God-given priorities were lived out in the daily, and a God-given outcome came with it. We need to cultivate into lives and trust the Creator and the Grower to continue to blossom His Kingdom around us at home, in our communities, in the marketplace, and around the world. 4 – have you made sabbath a central commitment in achieving your desired outcomes? Rest. It makes sense. If you don’t stop striving on a consistent basis, how will you keep striving? If you don’t lay down the tools that you use to cultivate, your hands and heart will one day become so calloused and overworked that you will not want to cultivate anymore. Sabbath is, like all of God’s commandments, so very practical and sensible. And yet, we do not keep sabbath as a central commitment in achieving our desired outcomes. I am guilty of it, too. And we need to hold each other accountable to this commandment. Or else we will burn out at worst, and at best just be busy doing things that don’t line up with God-given priorities. 22 But what happens when we live God’s way? He brings gifts into our lives, much the same way that fruit appears in an orchard—things like affection for others, exuberance about life, serenity. We develop a willingness to stick with things, a sense of compassion in the heart, and a conviction that a basic holiness permeates things and people. We find ourselves involved in loyal commitments, 23 not needing to force our way in life, able to marshal and direct our energies wisely. Legalism is helpless in bringing this about; it only gets in the way. 24 Among those who belong to Christ, everything connected with getting our own way and mindlessly responding to what everyone else calls necessities is killed off for good—crucified. 25 Since this is the kind of life we have chosen, the life of the Spirit, let us make sure that we do not just hold it as an idea in our heads or a sentiment in our hearts, but work out its implications in every detail of our lives. What do you think? May we be productive, not just busy. Please hold me accountable, too.